Advantage: Eagles. 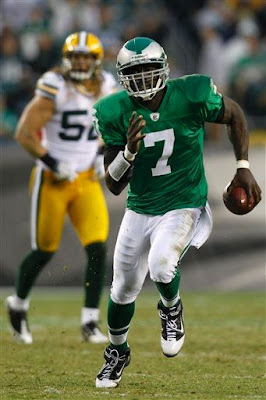 Even though Michael Vick is making his first start since the 2006 season, he has a huge advantage over Shaun Hill. While Hill has started some games over the past two seasons, he doesn't have the natural talent nor does he strike fear into opposing defensive coordinators like Vick does. 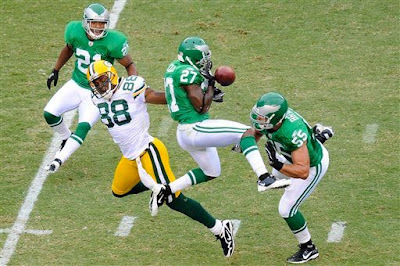 Additionally, Vick appeared to regain his vintage form has he compiled 175 yards passing and 103 yards rushing in the second half against the Green Bay Packers. Advantage: Lions. 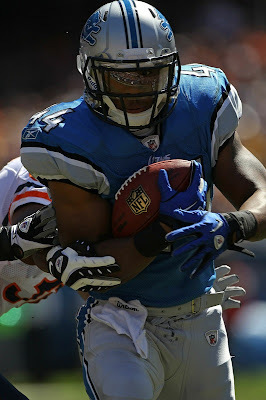 Lions rookie Jahvid Best only ran for 20 yards last week against the Chicago Bears, but he found the end zone twice as he scored two touchdowns. Also, the Lions can withstand an injury to their backfield since they have two backs in Kevin Smith and Maurice Morris who have starters experience. In addition, Best will not have to go up against DT Ndamukong Suh on every snap. For the Eagles, McCoy looked good when he got the touches last week. 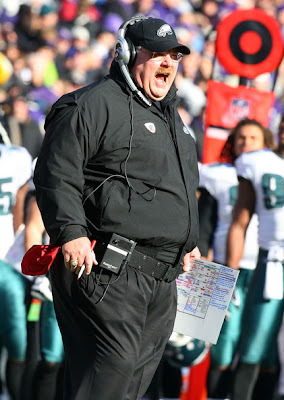 Unfortunately, head coach Andy Reid refused to get the ball into his hands more often. More importantly, if McCoy goes down then the Eagles running back situation gets ugly. Advantage: Eagles. This is a lot closer than people think when they first look at the units. The Eagles have really good, young wide receivers in Jackson and Maclin, but neither possesses the size, speed and strength of Calvin Johnson. Johnson's size will give the Eagles smaller cornerbacks fits all day. At tight end, Celek is much better and more polished than the Lions tight ends. However, he has to match up against Julian Peterson whereas Scheffler and Pettigrew will go up against Akeem Jordan and Omar Gaither (who is replacing Stewart Bradley). Advantage: Eagles. The Eagles offensive line took a huge blow this week as they found out starting center Jamaal Jackson was lost for the season with a torn triceps muscle. The silver lining with his injury is that McGlynn got plenty of reps during training camp and the preseason due to Jackson being unable to suit up then as he recovered from a torn ACL. Of course he, Cole and Herremans have the toughest challenge of any of the Eagles’ players, as they must contain Suh. 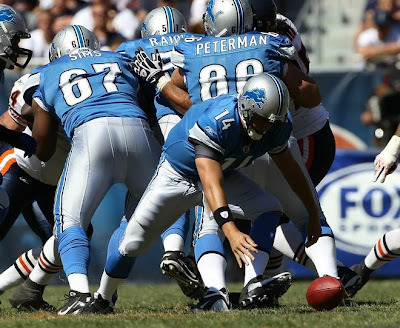 The Lions offensive line is not good, but they are not atrocious like they have been for much of the 2000s. Jeff Buckus is an adequate left tackle, but should have his hands full with Trent Cole. The weakest spot on the offensive line might be guard Stephen Peterson. Expect to see Eagles DE Brandon Graham lining up at defensive tackle to abuse Peterson. Advantage: Lions. Not even Pro Bowl DE Trent Cole possesses the rare type of strength and gamechanging ability that Suh can counter with on every play. 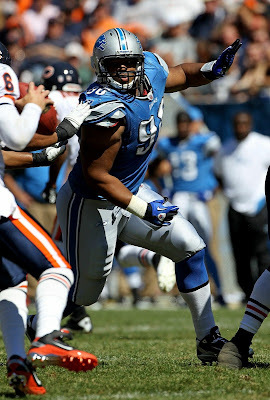 Suh instantly makes the Lions one of the superior run defenses in the league. He might not be great at getting to the passer just yet, but the Eagles interior line has faltered in the past to adequately block Pro Bowl caliber defensive tackles. Without a doubt, the Eagles have more depth along the line and a better rotation than the Lions. In addition, they also have a better set of defensive ends with Graham and Cole. Still, Suh has the potential to change an offense’s gameplan. On the flip side, the Eagles defensive front doesn’t have to worry about Vick and him getting outside the pocket. Advantage: Eagles. If Stewart Bradley were able to go, the Eagles would clearly have the better linebackers. Since he was not cleared to play against the Lions, the Eagles have just a slight advantage over the Lions. Gaither is a nice backup linebacker to have, but he is not big enough to roam the middle of the field all game. He will miss some tackles and give up some big chunks of yards on the ground. Yet, he is good in coverage and can cover RBs and TEs. The Lions will run out Peterson who is no longer in his prime, but is a very good outside linebacker. He still has the elite athleticism to shutdown a player of Brent Celek’s caliber. The most important player on the Lions' defense could be middle linebacker DeAndre Levy (or Ekejuiba IF levy doesn't play). 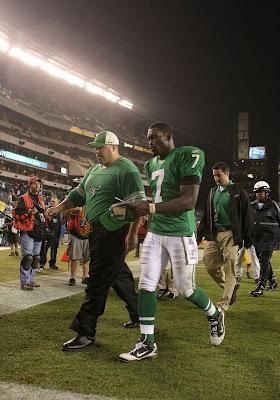 Both players must are going to be asked to contain Vick as the "spy." Advantage: Eagles. Asante Samuel is the best secondary player in this game. He also has the hardest job of shutting down Calvin Johnson and likes to gamble a bit too much at times. Expect the Eagles to have Mikell or Allen help out over the top. On the other hand, the Lions must stop DeSean Jackson and Jeremy Maclin. 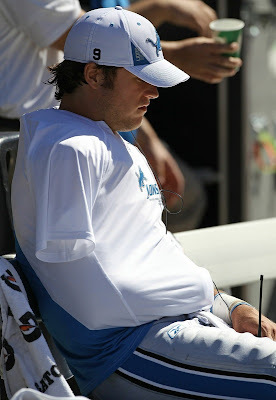 They also might have to do it without the services of safety Louis Delmas, who may miss the game with a groin injury. Even if he is healthy, he will have trouble with the explosiveness and quickness of the Eagles receivers. Also, Marty Mornhinweg remembers C.C. Brown very vividly as he was constantly torched by the Eagles last year as a Giant. Advantage: Eagles. Anytime the Eagles send out Jackson to return punts then they will have the advantage in this area. Additionally, Rocca has been a much better at punting the ball in dome stadiums. The Lions have Logan, who is extremely quick and shifty. He might get some huge returns with the Eagles kickoff coverages being horrendous since the second week of the preseason. Advantage: Eagles. Schwartz has done a great job getting the Lions’ franchise back in the right direction. Moreover, he should be 1-0 if not for a horrible interpretation of the NFL rulebook. Still, Reid has been there and done this before. He rarely loses regular season games against inferior opponents, but he did come up small last year against the Raiders. Advantage: Lions. The Lions will be playing their home opener, which should get them juiced up out of the gate. Furthermore, they are not as bad as they have been in previous seasons. They will keep the game competitive with the Eagles as long as Hill does not turn the ball over. This could be a trap game for the Eagles. Ndamukong Suh vs. Eagles Interior Line: The Eagles will have their hands full with the No. 2 overall pick from this year's draft. Even worse, the Eagles will be without Jamaal Jackson, who's experience would be very beneficial against a player of Suh's ilk. 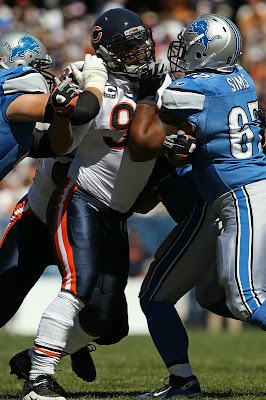 Look for the Eagles to double-team Suh on every play. If the Eagles expect to win this game, then they must not allow him to completely shut down the running game and get to Vick. Calvin Johnson vs. Asante Samuel, Ellis Hobbs and Joselio Hanson: The scary part about this matchup is that none of the Eagles cornerbacks can matchup size-wise with the 6-foot-4 Megatron. The tallest corner for the Eagles is Ellis Hobbs at 5-foot-11. If Hill can throw some one-on-one jumpballs to Johnson, then the Eagles defense could be in for a long day. Also, if Hanson gets into an isolated matchup with Johnson, it might go for a touchdown. Eagles linebackers vs. Jahvid Best, Tony Scheffler and Brandon Pettrigrew: A fatal flaw to the Eagles blitzing defense has always been covering backs out of the backfield and opposing team's tight ends. Last year with MLB Stewart Bradley out for the year, teams exploited this weakness and made it a focal point of their attack against the Birds. Best was one of the best pass catching running backs coming out of the draft this year. Additionally, Scheffler is a pass-catching tight end with just good enough speed to get by his defenders. Sims and Jordan did a good job shutting down JerMichael Finley last week and they must follow suit this week. Michael Vick's running ability vs. Lions Linebackers: Defensive coordinators will try to gameplan an attack to shutdown Vick's running lanes. However, his legs always find a way to get 15 yards up-the-field before the defense know it. The Lions will not and cannot fully take away Vick's legs, but if they can force him to throw more often than he runs, then they have an excellent chance to get a victory. Defensive coordinator Sean McDermott vs. Lions QB Shaun Hill: The Eagles love to blitz and blitz from place that teams have never even thought about. If the Eagles can exploit the Trent Cole versus left tackle Jeff Backus matchup like the Bears did with Julius Peppers in week one, then the Eagles might just roll the extra man into coverage and employ a four-man pass rush. However, McDermott loves harassing opposing quarterbacks and give them plenty to think about as well. If the Lions offensive line does not pick up the elaborate blitzes and Hill gets hit early then an opportunistic Eagles defense could turn the game into a blowout. TE Tony Scheffler-- Normally the Eagles struggle against tight ends, but the below average offensive line will force the Lions to keep him or Pettigrew in as blockers. TE Brent Celek—Peterson is good at taking away tight ends. Plus Celek might be asked to help pass protect. Eagles 27-17. The Eagles are the better team, but this is a very dangerous game. 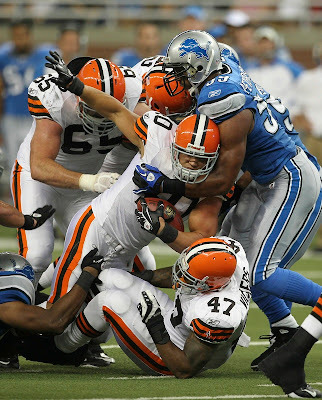 It is the type of game that players overlook since the Lions have been awful for the last decade. Nevertheless, the Lions have good playmakers on offense and defense. Reid must have his players ready to play because the Lions are going to be up for this game. Nothing shows your fanbase that the franchise has turned the corner then an upset win in the home opener. Still, Vick's legs, Jackson's speed and solid defensive gameplan should be enough to get the Eagles back to .500 and potentially be tied for first place in the NFC East. I think fans around the league still give the Lions offensive line too much credit. I think they are well below average. I do hope this is a close game, but the Eagles have a great chance to set the tone for the rest of their season.